Here is our recipe. We use a non-fat yellow corn tortilla that we crisp up in the oven in the same way that we make tortilla chips. We use a can of fat free refried beans and I added cumin. 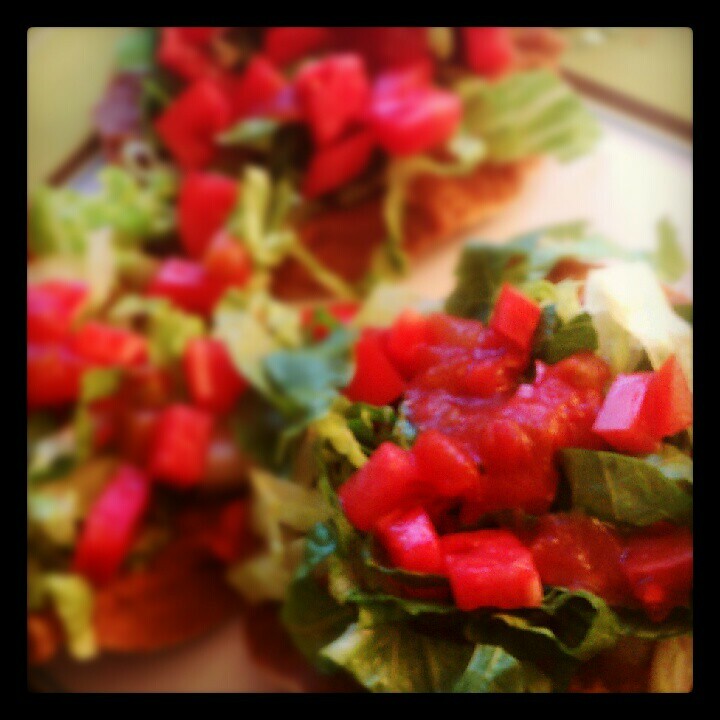 To top it all off… lettuce, tomatoes, salsa and cilantro.